So far in the 2018/2019 season, Xavier competed in 28 fixtures. With a height of 1.76m, Xavier undercuts CD Tondela's mean tallness by 6. The 26-year-old footballer was born on July 6, 1992 and is therefore exactly as old as his team's average age. Back in 2018, Portuguese forward Xavier's contract with CD Tondela (Portugal), the club he is still a member of, took effect. 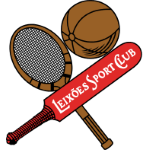 The club of Xavier, CD Tondela, presently holds second position in group Gr. 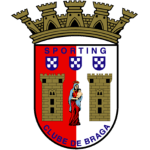 B of League Cup (Portugal) and 15th position in Primeira Liga (Portugal). He prefers to play with his left foot, as do 33% of his teammates. From his professional start until now, he has performed in 206 matches in total and hindermost appeared three days ago. On average, he has participated in 14.7 matches per season. 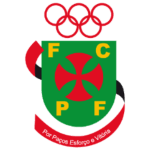 Xavier's squad won 67% (100% home) in League Cup and lost 50% (40% home) in Primeira Liga. The highest win streak of the last 3 matches happened in League Cup with a count of 2. The longest period that he stayed in a team was two years and 7 months in CS Maritimo Madeira (Portugal) He received 29 penalties throughout his entire career (of which 28 where yellow). This leads to an average of 2.07 cards per season. In the current playtime, he caught 6 yellow cards. 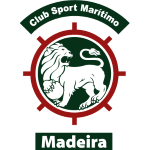 Four months was the stubbiest period that Xavier was contracted to a team (Maritimo Madeira B from Portugal) He is enjoying a great League Cup 18/19 (Portugal) season so far, netting four times (20% of his team's sum) and initializing six goals. This leads to roughly 0.21 assists and 0.14 scores per match in the resent season. One could say he translated to a slightly improved form compared to last year yielding a per-match-quota of 0 goals and 0.27 assists. Weighing 145.5lb, he measures 17lb less than the average player on CD Tondela. Primeira Liga 17/18 (Portugal) has been Xavier's best season so far since he reached both his personal highest amount of played matches and given assists. 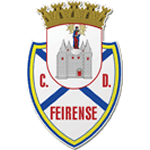 He played for Maritimo Madeira B, CS Maritimo Madeira, FC Pacos Ferreira, Leixoes SC, Sporting Braga B and CD Feirense before ending up in CD Tondela. At CD Tondela, he is the owner of strip number 7. 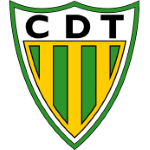 Apart from Xavier, Patrick, Chicho Arango, Pablo Sabbag, Jhon Murillo, Tomane and Juan Delgado are also forwards of CD Tondela. Altogether, he was substituted in 64 and out 89 times. Currently, he left the pit more than he entered it which holds true for last season as well.